Posted May 22nd, 2018 by Burn Right & filed under News. The Burnight campaign has today welcomed a Government commitment to working with chimney sweeps and the wider solid fuel industry to help cut air pollution. The Clean Air Strategy specifically highlighted the work of Burnright in helping to educate consumers on how to use their solid fuel appliances, such as woodburners and multi-fuel stoves, effectively. The strategy, released by the Department For Environment, Food & Rural Affairs (DEFRA), recognises Burnright’s key messages, and says it will “ensure that consumers understand what they can do to reduce their impact from burning”. 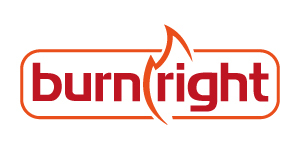 Burnright was launched in March by chimney sweeps from across the UK, and has been positively received in the solid fuel industry as a whole. Lawson Wight, from the Burnright campaign, said: “We are very pleased that the Government has listened closely to what we have had to say and have put firm commitments in place to working with us. “We have consistently made the point that even the best fuels can be heavily polluting if they are not burned in the correct way. “I firmly believe that, if we hadn’t taken the initiative and got our message to government, then the strategy would not be as comprehensive. It would have been a missed opportunity to actually tackle one of the root causes of pollution.